European entrepreneurs and business managers who travel and cooperate nowadays in the Islamic region are well advised to acquire a Middle Eastern "Cross Cultural” Marketing Mix in order to maintain a long term success in their business. This ranges from Islamic product diversification, specified and adapted to consumer needs and regional demands, throughout to implementing Arab customs in sales and pre / after sales behavior. The privat “Institute for Middle East Marketing” (IfNO e.K.) found 1990, is one of the leading Institutes in Germany qualified in consulting, coaching and training customized business approaches in the Islamic region business such as "Intercultural Management" and "Middle East Sales & After Sales Strategies". Dr. rer. pol Dipl.-Kfm. Karim Elmahi Ismail, CEO of the “Institute for Middle East Marketing” (IfNO) in Dusseldorf/ Germany studied at the University of Cologne/ Germany, and graduated PhD-MBA from the Faculty of Economics and Business Administration. 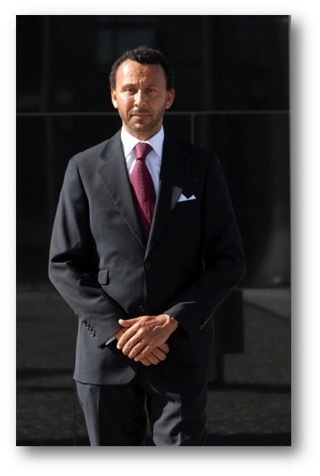 He served several years at the Embassy of Qatar in Bonn/ Germany. Since 1990 he preforms as senior investment and business consultant, and supported over 400 German companies in the development and implementation marketing and sales strategies in Middle East countries.